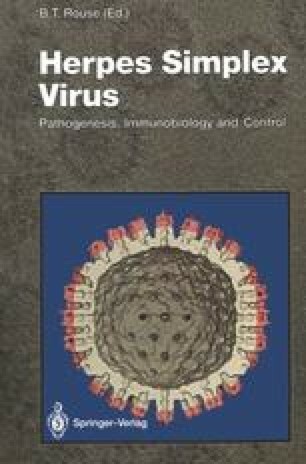 Viruses have evolved mechanisms that favor their own survival by modifying the effectiveness of the host immune response. Although viral strategies for immune evasion are varied, many members of the herpesvirus family encode proteins that have immunoregulatory functions. Human cytomegalovirus (CMV) encodes a protein that shares homology with the heavy chain of the major histocompatibility complex class I molecule (Beck and Barrell 1988). This protein interacts with β 2-microglobulin and may interfere with cytotoxic T cell recognition of infected cells (Browne et al. 1990). BCRF1, a protein encoded by Epstein-Barr virus (EBV), is a homologue of interleukin-10 and inhibits synthesis of cytokines by activated T helper cells (Hsu et al. 1990).